A few days before new year we took off in the kayak and headed up the river Karli/tarkali creek with the aim to reach the top after a few days. 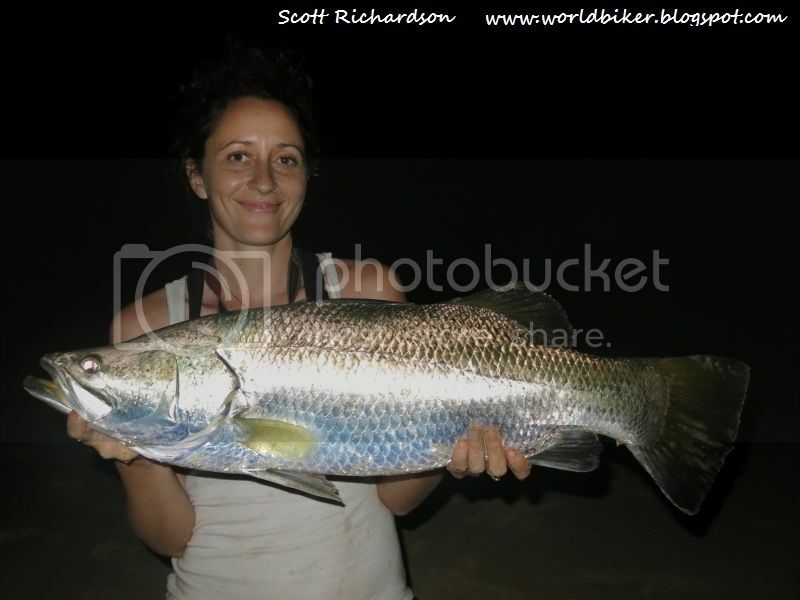 It was a great trip and some good fish were landed including this beautiful barramundi early on new years day. We made it up and back down the river in six days and all in all it was a great trip...Rather than going into details here you can read more on my blog at . Last edited by worldfisher on Thu Apr 17, 2014 10:33 pm, edited 7 times in total. Nick send me a Pm and if you like you can join me when you are here. 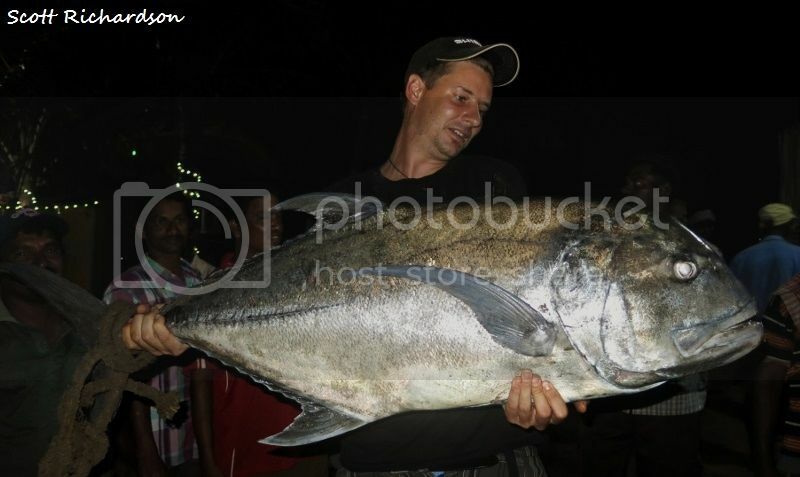 Recently there has been some pretty good fishing around the southern konkan region. usually after the new year sport tails off a bit but choose your spots carefully and some great fishing is still on the cards. With the increasing interest in sea fishing I have written a new blog post sharing a few of my views for the future of angling on the coast of India and it would be great if anyone reading this could read it and share their own views here. 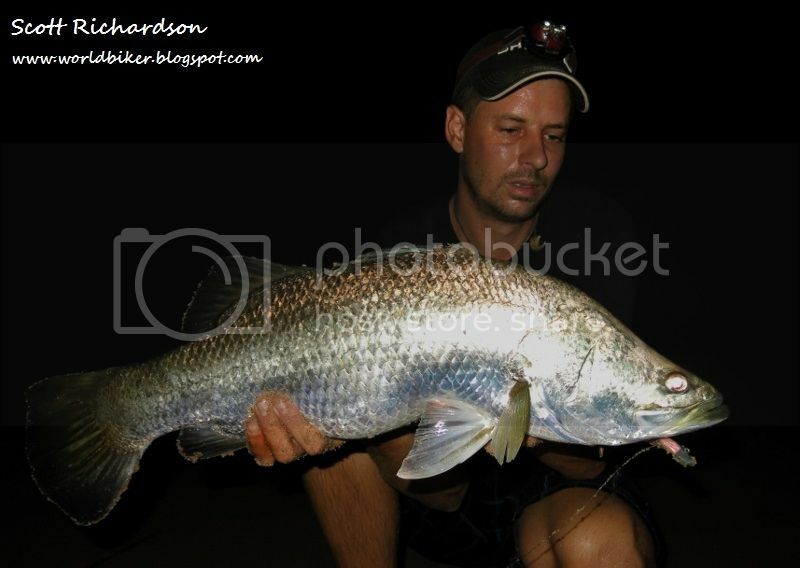 We've had some great mangrove jacks lately and a few good barramundi too. my fly fishing friend joined Gian joined me from mumbai and the target was for him to get a barra on the fly outfit! He came close and had some good bites but didn't land a barra so the challenge is still on for him! I have a hard time releasing fish from the rocks where I fish I think it is about time I invest in a boga grip. Almost forgot to mention. I tried jointed bomber lures last time in Konkan and got a couple of strikes from MJs, but never hooked up. What is the strike/hook up ratio with jointed bombers you are having? Last edited by lure_fisherman on Sun Mar 02, 2014 5:37 pm, edited 1 time in total. Marathu, usually I just use standard bomber but that is not to say jointed models don't work. I have caught fish with them in the past and we have had good success with the rapala jointed j12 when worked between the rocks. But regarding hook-ups...usually not a problem with the jacks. The strike to hook-up ratio is very good. But make sure your hooks are very very sharp as this will make all the difference. And don't be shy to strike as sometimes the lure will be gripped tight in the mouth and it appears to be hooked. The lure will simply fall out should the fish open it's mouth. 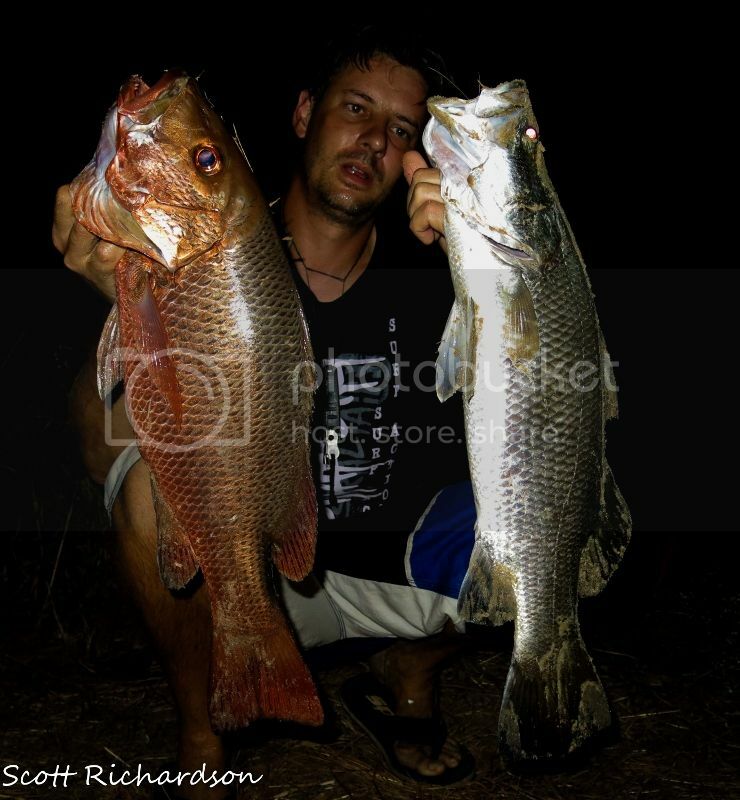 A boga grip is a good idea but at the end of the day if you are fishing from the rocks you will often still have to bring the fish out of the water before you grip it. 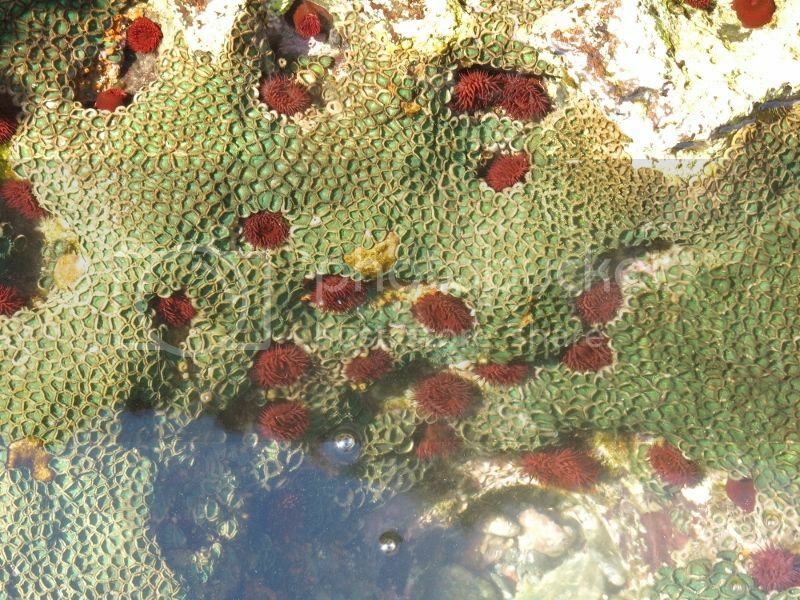 Of course it depends on the condition of the water and how rough it is. The second and best option is to use a net but of course this is not always convenient. I hope this helps...any more questions just ask.. I haven't been out fishing for a while for a couple of reasons but finally managed last night and luckily for me the fish were in the mood to feed. Because I was standing in the water i was casting rubber shads with single hooks so fish could easily be released with out the danger of two trebles swinging around. Thanks for the info! 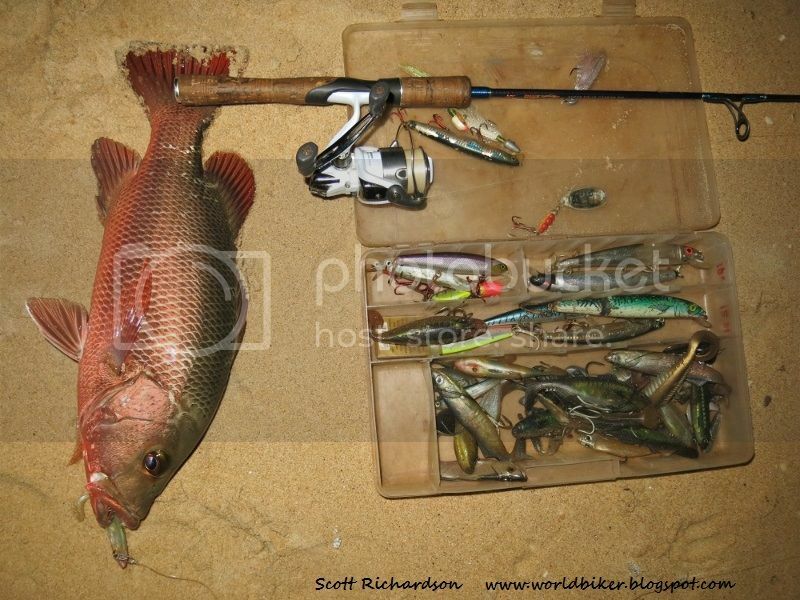 Let me wear korkers and try to get as close to the fish as possible and see what I can do about the release. I personally would gaff the fish in the lip than slide the gaff on the thrashing fish's gill plate as I generally bring them in while they still have a lot left to fight. But will keep you posted on how it goes though! BTW, I got my leaves approved for April. Yeah the lip is also good for gaffing if you have a small barbless hook on the gaff. I'm always a little reluctant to recommend either technique as a gaff in the wrong hands can do a lot of damage but at the same time I guess guys need to get experience somehow. The bucktail jigs are a lure that i don't use enough so thanks for reminding me :) we have had some good fish on them in the past and I know how well they work from using them in South Africa and of course seeing the American reports. And the beauty is they are indestructible and one can be knocked up pretty quickly before fishing. here in oman, where i fish from rock headlands. I might well come down mate. 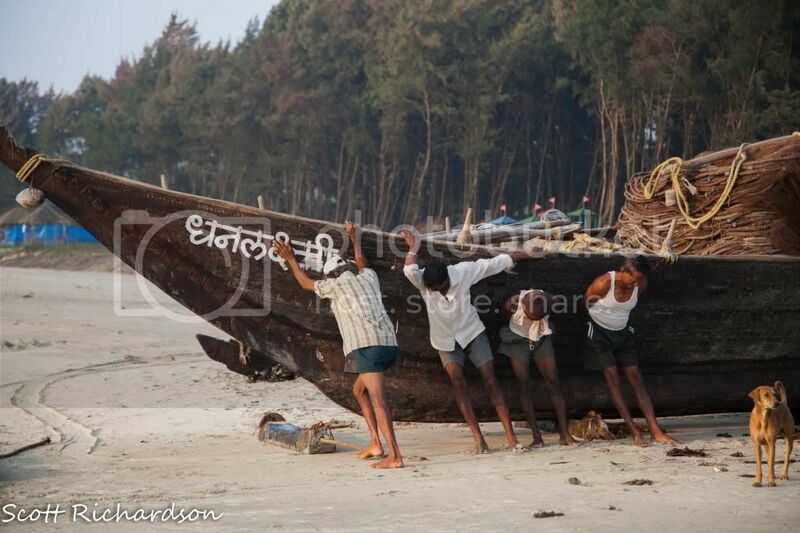 Since I last posted we have had some great fishing on the Konkan coast. 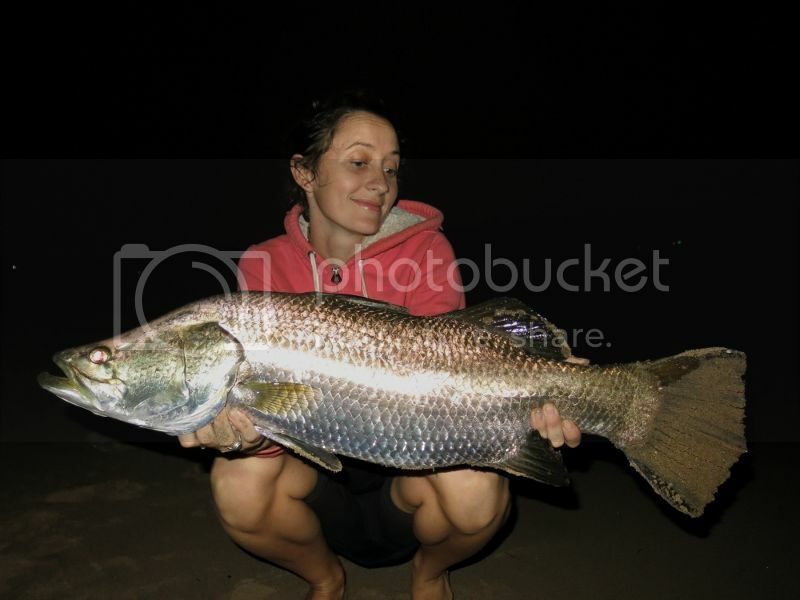 We've been targeting the usual suspects; barramundi and mangrove jacks and although we have blanked on a few session we have had some very memorable fishing. 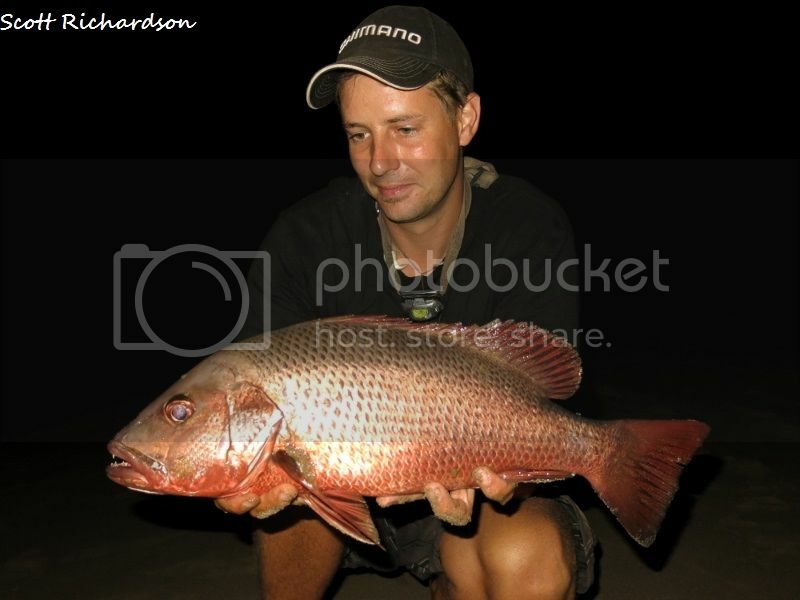 Some sessions the fish have been been crawling up the lines, particularly the mangrove jacks. It goes to show that there is still some great fishing to be had on the coast of India even towards the end of the season. 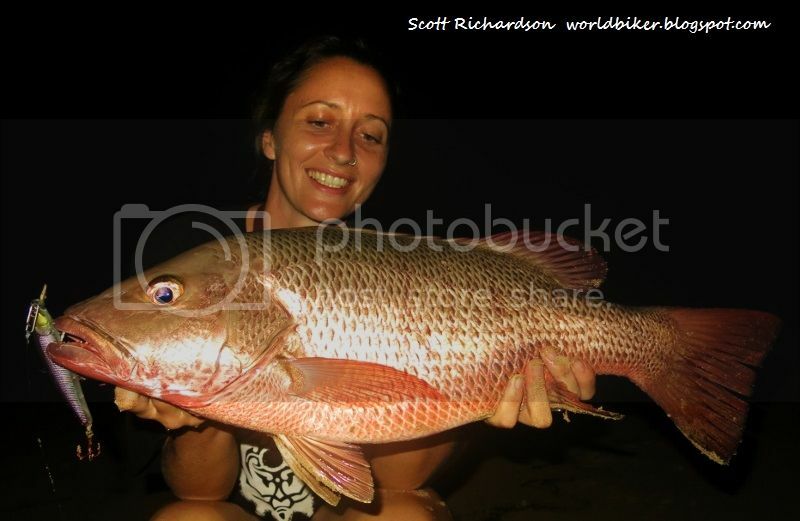 Aurelie landed this superb mangrove jack on a small hardbody minnow. The fish put up a great fight and really tested Aurelie's skills! I have been doing a little more fly fishing and the first fish to take the fly was this little barra. 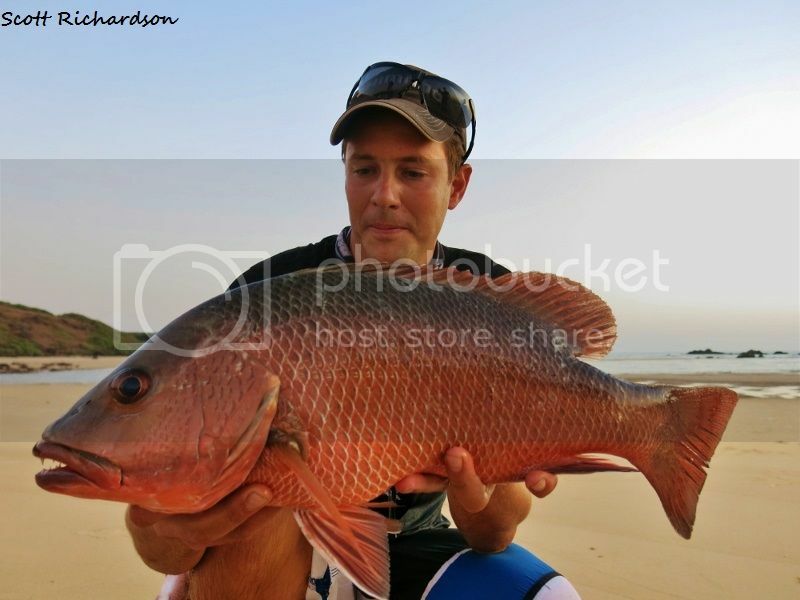 Not a huge fish but a very welcome fish because getting fish on the fly on the konkan is not too easy. 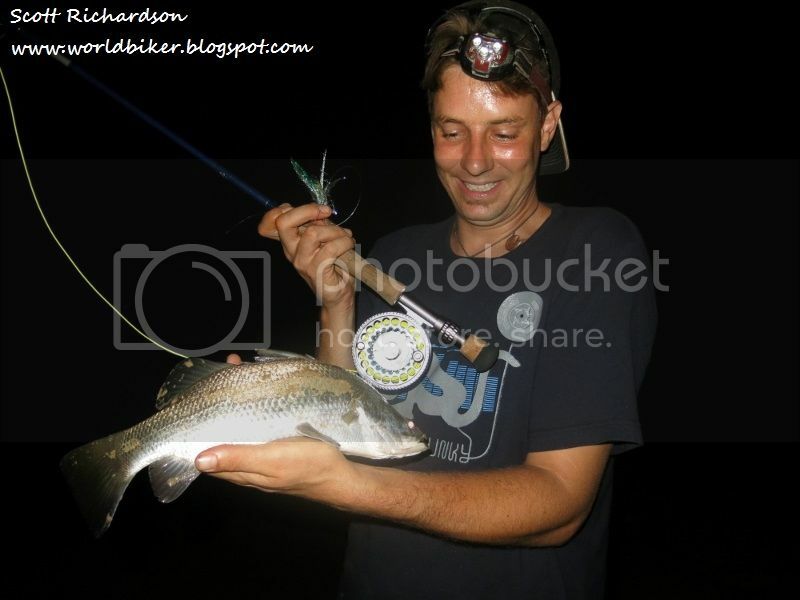 Next attempt on the fly and I got this slightly bigger barramundi. 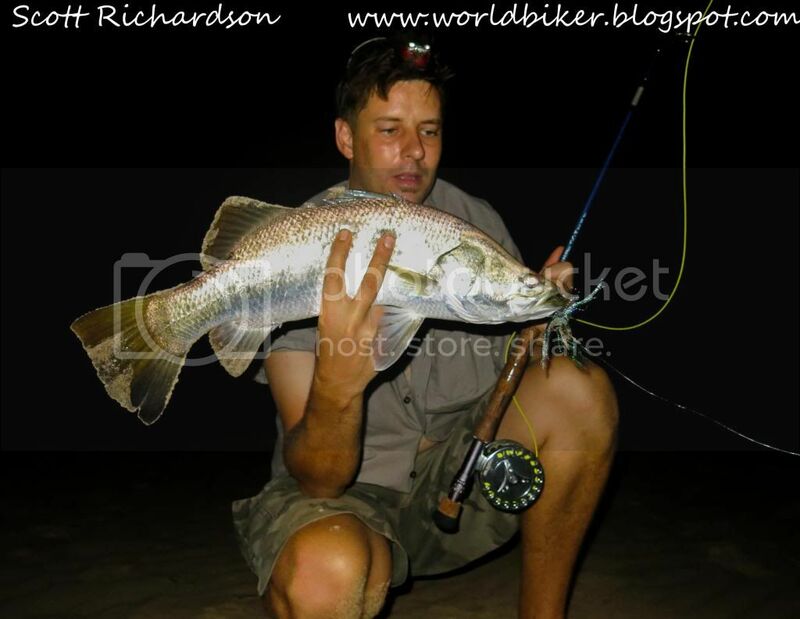 The fight was great on the fly rod and slowly I can start to see the huge appeal of fly fishing! 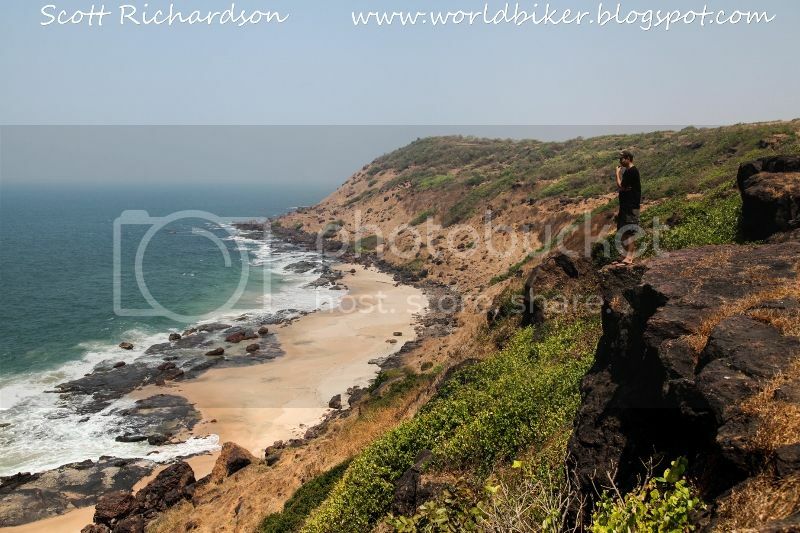 We have been exploring the Konkan as much as possible and there are some stunning places for anglers to visit. here from the cliff top we saw turtles and fish in the water below. Great post and pics Scott! I was there a couple of weeks back and caught 4 MJs in short span of time. Lost a couple of fish as well. That place with the cliff looks awesome. 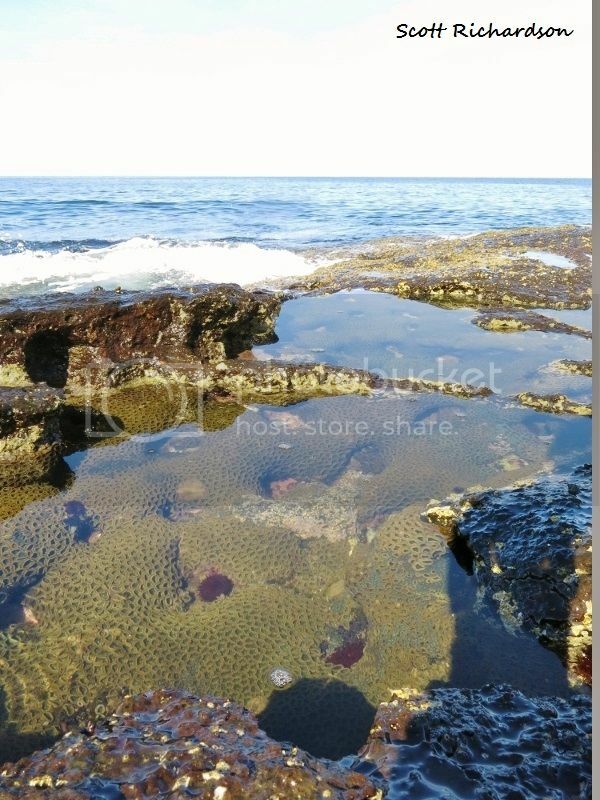 I discovered some rocky coast line near where I fish, but the water is at least like 30' deep right at your foot step. Thanks mate and good luck tomorrow. I'm back in UK for a bit and am already missing the fishing. Hopefully we can meet up next time I'm out. I would like to fish that deep water spot :) have really been meaning to get down that way for a while now. I headed out one day in my kayak and tried to film a few fish coming aboard. The sea got pretty rough by sunset but a few small trevally were obliging and took the lure before I had to head back in to the beach. Thanks! 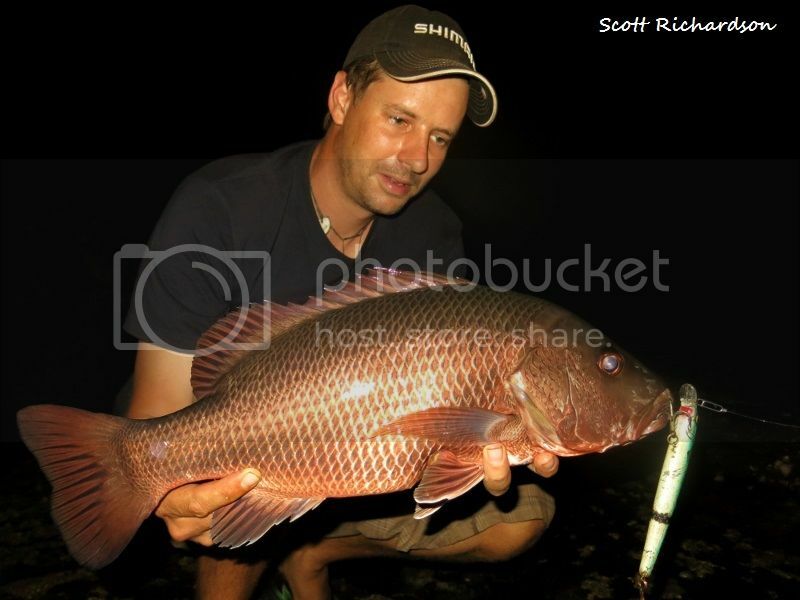 Great pics with some nice fish there Scott! For some reason I'm not comfortable fishing deep water with little current as I'm not used to it (A nice drift would be nice for jigging bucktails and soft plastics on a jig head though), but hopefully will figure it out soon. I prefer shallow water with some wash where I can find the cuts/rips and eventually find the fish. Awesome video! 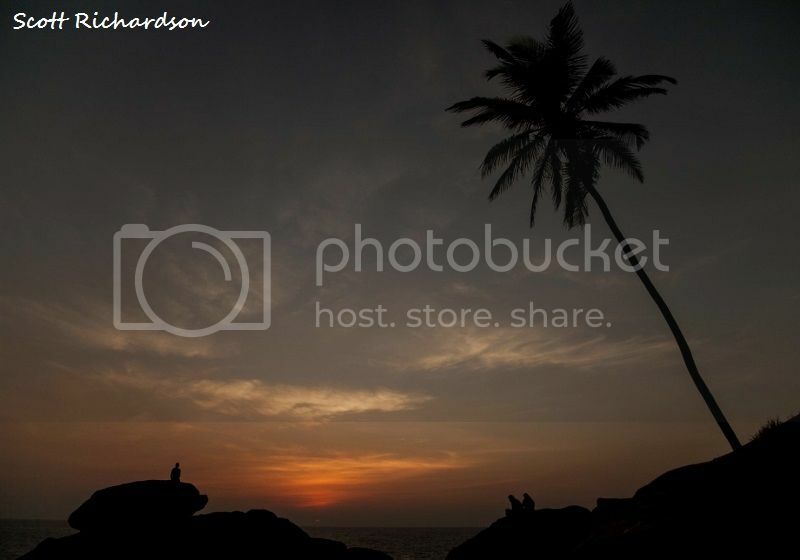 there's some funny creature that pops up for a fraction of a second at 6;20, viewed it a few times but still can't tell what it is.... Man I wish someday I can get to tenting and camping the konkan coast.... You do it all and also carry your Kayak! Awesome! I hope you can join us one day, so next time I'm on the Konkan I will try and arrange a get together :) And congratulations you are the first to spot the frog I put in the video! And thanks for your comment Shamip. Appreciated! 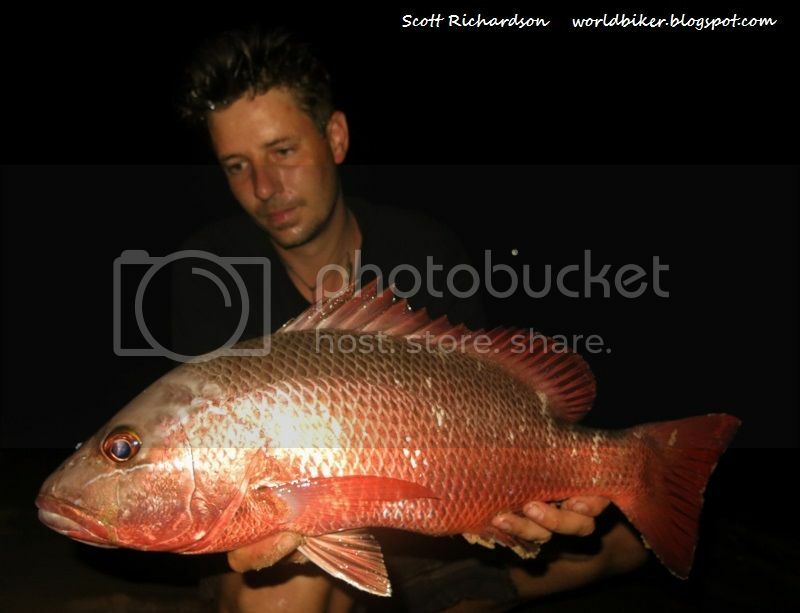 Well done mate…your posts are a pleasure to read ….I have never done much fishing in my home land and most of my fishing has been in Australia…..hopefully will get to fish the indian waters soon. I enjoyed a lot watching it. Thanks for sharing! Amazing video Scott!! Loved every bit of it :)!! thank you for inviting us to read your adventure's accord on your blog, however it is unfortunate that posting links on the forum are not allowed. Kindly delete the link to your blog, I'm not sure but I'm guessing you can mention the name of your blog and people interested can go ahead and google and find. Apologies if this sounds harsh, however it is a rule and must be followed by all. Yes it does sound a bit harsh. Why exactly can't we post links on this forum? Like I said earlier I apologize if it did and do so once again since it did. Well there can be many reasons I'd imagine, however would leave it for the site admin to answer. Well thanks for the apologies. As you can imagine I'm wondering why I should remove the link considering I have been posting on this forum for many years and that my blog has no commercial links/benefits for myself or anyone else. It is purely for me to record my experiences. I hope I can share these with other people and hopefully inspire some other anglers over time. I imagine I could copy all the content onto the forum without breaking any of the forum rules. But as that would be very time consuming I choose to leave it where it is and give people the choice to see the 'extended version'. So I will leave it up to the administrators.